Landshark Stadium is quickly becoming the football field where music legends go to die. The NFL has announced ancient rock band The Who will be the halftime entertainment at this year's Super Bowl held in Landshark Stadium, Sports Illustrated reported today. Apparently the NFL wanted to go for a musician actually older than Jimmy Buffet (by the way, still no word if Mr. Margaritaville will open up for them, but we wouldn't be surprised). The choice of The Who follows other fading rocker choices by the Super Bowl committee in recent years. Bruce Springstein headlined the mega-media event last year and Tom Petty the year before that. There clearly must be a senior citizen discount in there somewhere. 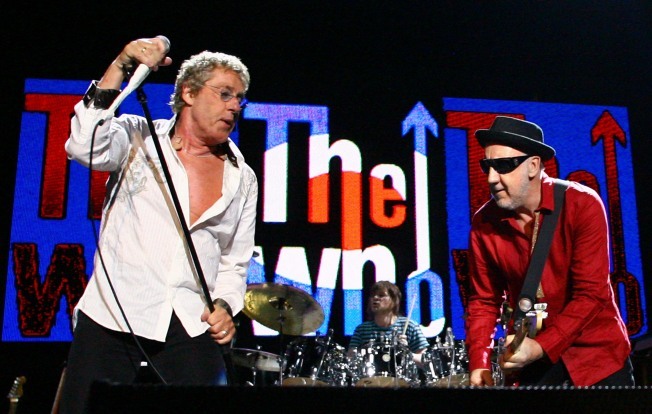 The Who, an English band that formed in 1964, will be singing to a crowd likely no part of their generation, but you can count on hearing one of their most popular songs "My Generation" during the set. You might even hear the CSI:Miami theme song, which might be the only tune from The Who actually on your iPod.